A wee while ago we ventured North for a girls weekend with fellow appreciators of quality cake, Kelly and Deesha. Whilst we were there we decided to eat and drink all of the prettiest things we could find! Which turned out to be pretty damn easy. Manchester, we salute you. Our first port of call was milkshakes at the incredibly popular Home Sweet Home. Kelly and Jo went for the blueberry topped with Lucky Charms (! ), whilst Deesha and Victoria plumped (plumped being the operative word…) for peanut butter and jelly! Breakfast of champions. It was the perfect place to spend a Saturday morning. After spending far too long browsing the many floors of Afflecks, the home of She and Hem faves Chocolate Ape, Pop Boutique and Thunder Egg, the sight of Ginger’s Comfort Emporium was quite the comfort indeed! We perked up and planned our evening over a few brews. If you fancy reading about the evening in question, click here! *Warning* This link involves Harry Styles. On Sunday morning, before catching the train back to Bristol, we took a (very) leisurely stroll to Sugar Junction. 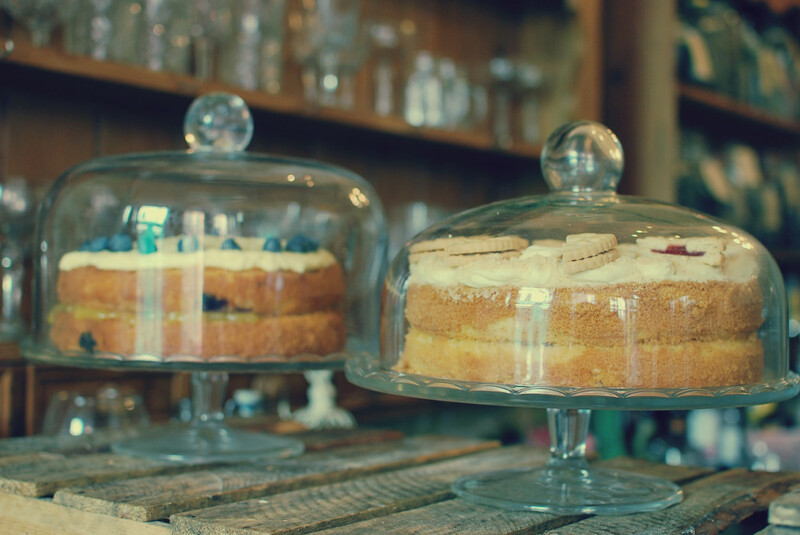 A vintage tearoom serving freshly baked cakes, homely meals and some of the best milkshakes in Manchester. There is no such thing as a light lunch in the life of She and Hem, so after much discussion we settled on milkshakes (duh), pancakes and a large slice of cake to set us on our merry way. Bristol, you seriously need to up your milkshake game. Or maybe that’s just the sugar talking. Manchester, we’re mad fer it!